Movies At Dog Farm : Do You Wanna See Something Really Scary? I Used To Be A Cute Little Kid Who Wore Halloween Costumes! Do You Wanna See Something Really Scary? I Used To Be A Cute Little Kid Who Wore Halloween Costumes! As much as I love Halloween, I don't really like dressing up for it anymore. I'm now far more interested in my own personal comfort - the ability to eat, drink, and be merry without spending Halloween night uncomfortable due to a restricting costume. I liked it when I was a kid, though! 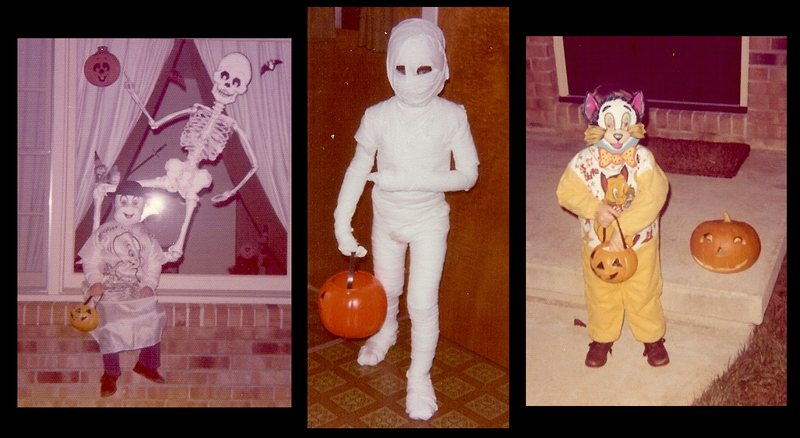 I promised on The Info Zombie Podcast to share a few pics of myself as a cute young trick-or-treater, so here they are! Just for shits and giggles, I'd like to invite everyone to share their own childhood photos on the Movies At Dog Farm Group Page on Facebook. That should be easier than trying to attach pics here. Also, please share your text based memories of dressing up for Halloween in the Comments section below. Finally, thanks to all the fine sites that helped the Dog Farm celebrate Pre'Ween this year. You've each helped me along in my goal to make Pre'Ween a "thing". Ten different sites produced nearly seventy-five posts this October, all of which can be accessed by clicking the Pre'Ween badge below.